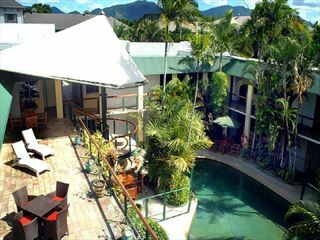 Sitting on Four Mile Beach and serving as a gateway to the Great Barrier Reef, Pullman Port Douglas Sea Temple Resort & Spa is a stylish and modern property. 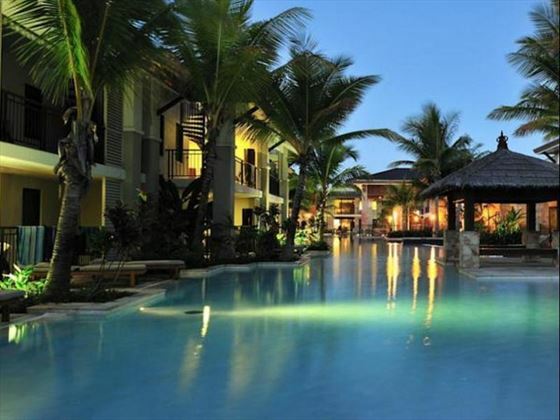 The resort is arranged around the enormous lagoon-style pool with apartment and villa accommodation offering a relaxed and easy self-catered experience perfect for a couple or a family. 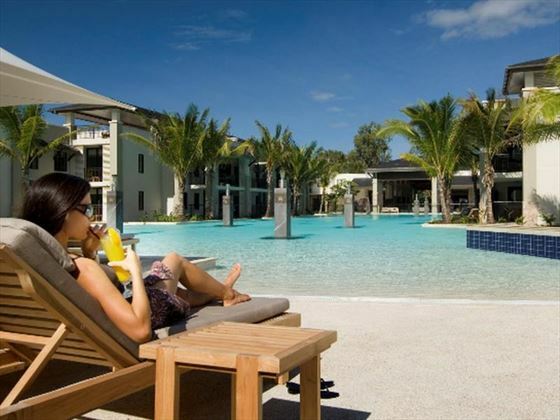 The resort puts you in an easy position to reach Australia’s iconic Great Barrier Reef, and you’re also close to the beautiful Daintree Rainforest, which is well worth a visit. 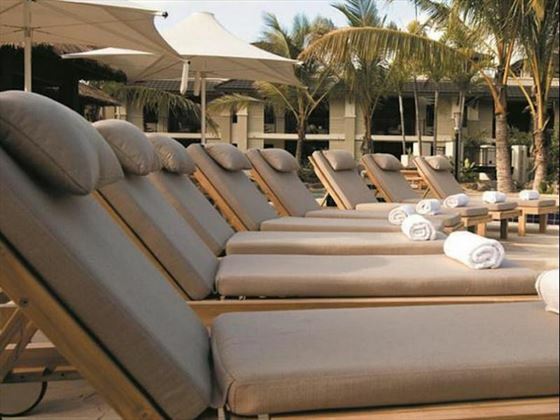 And on the days when you just need some downtime, chill out by the pool with cocktail in hand or head to the beach for sun-soaked relaxation. The resort’s innovative AQUA restaurant is ideal for trying out some delicious Australian-style cuisine, while those staying in apartments or villas can use their fully-equipped kitchens to prepare meals easily. 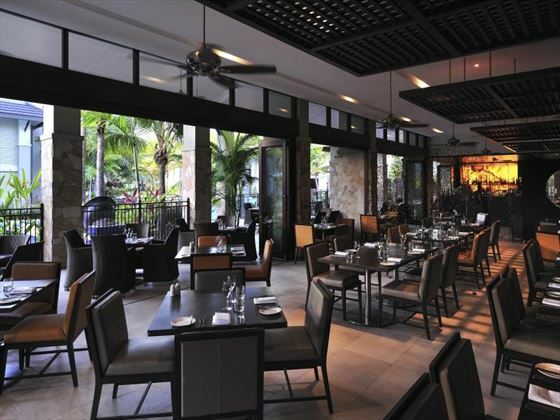 There’s also the option to head out into Port Douglas to sample the range of eating establishments. 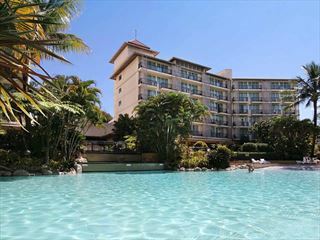 The resort sits directly on the seafront of Four Mile Beach close to the heart of Port Douglas in North Queensland. Close to the Great Barrier Reef and the Daintree Rainforest, it’s perfect as a base to explore the surrounding area. 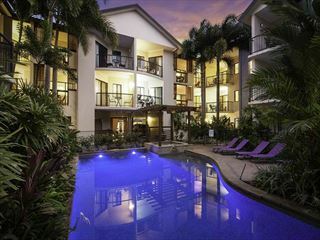 Only a short walk away from the centre of Cairns, this gorgeous, tropical resort is a great spot for relaxing in after a busy day of visiting the city's best attractions, including the Great Barrier Reef. 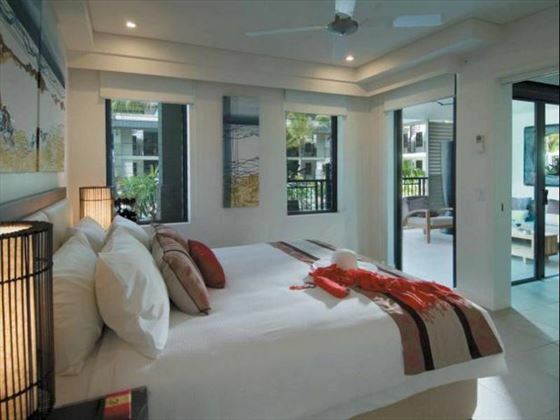 You'll find comfortable rooms and apartments, an award-winning restaurant and a lovely pool here.